Pictures taken on Friday 7th & Saturday 8th of this year's Snowdonian, the Ffestiniog & Welsh Highland Railways fundraiser which runs from one end of the combined railway to the other. This years was characterised by some superb weather, unbroken sunshine from dawn until dusk, and warm with it. 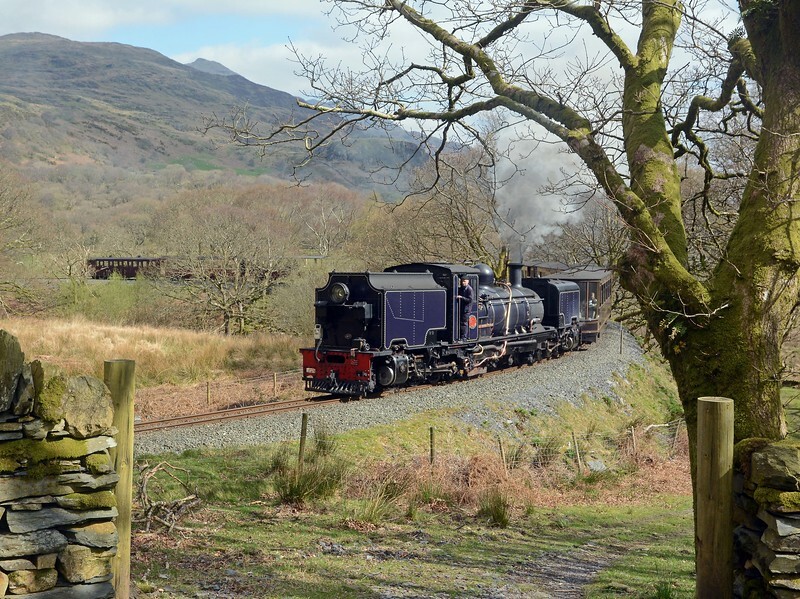 What could be better; narrow gauge steam, Snowdonia's fabulous scenery and astonishing weather? Swinging round the reverse curves above Beddgelert, NGG16 no.87 on the 10:45 Porthmadog to Caernarfon on the 2% climb to Pitts Head Summit.